Extreame Savings Item! Free Shipping Included! 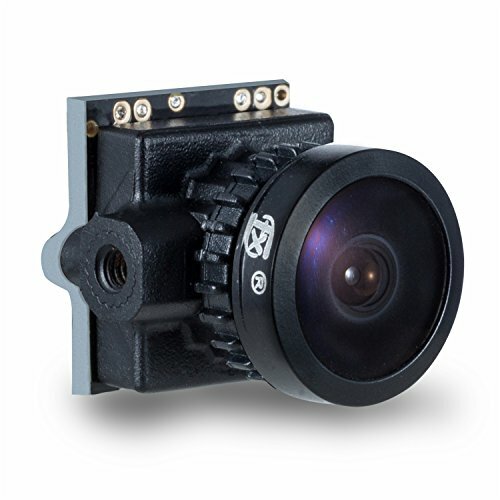 Save 47% on the FXT T80 1/3 800TVL PAL/NTSC 16:9/4:3 Mini FPV Camera the smallest OSD camera by TX at Mamboe. MPN: T80. Hurry! Limited time offer. Offer valid only while supplies last. Specification: 1.Brand: XT 2.Model: T80 3.Image Sensor: 1/3'' CMOS sensor 4.Horizontal Resolution: 800TVL 5.Lens 2.3mm Lens(M8): FOV115° 6.Min. 1.Micro sized and lightweight only 3.9 g.
1. The size of camera is about 14mm X 16mm X 17mm ( the smallest with mount OSD camera in the market). The weight of camera is about 3.9g. 2. With resolution 960*576, 800TVL more clarity. 3. Support parameters menu adjustable. OSD display for input voltage, working time etc. 4. Aspect ratio 16:9/4:3 switchable. 5. Support BLC(backlight compensation), when facing strong light, automatically adjust it. View More In Surveillance Camera Lenses. If you have any questions about this product by TX, contact us by completing and submitting the form below. If you are looking for a specif part number, please include it with your message. New - Sony PS3 Laser Lens + Deck (KES-450A/KES-450AAA/KEM-450A/KEM-450AAA).